Only three days left to scoop up TechCrunch Disrupt NY tickets! You can get them here. And view our amazing speaker lineup here. 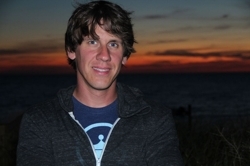 Foursquare’s Dennis Crowley has had a helluva April. The company just closed a $41 million debt round from Silver Lake Partners and Spark Capital, Andreessen Horowitz, O’Reilly AlphaTech and Union Square Ventures, and released a revamped iOS app. Yahoo M&A has also reportedly been sniffing around. Perhaps this is because of the drive and passion of Crowley. His resilience in the past couple of months, let alone this year, is impressive, and we’ve made room onstage at Disrupt NY next week for him to talk about it. Just last and this week alone could fill up a whole conference day, as Crowley himself was also a participant in the Boston marathon, in addition to everything mentioned above . Dennis Crowley is a co-founder of Foursquare. Previously, he co-founded Dodgeball, a network of the same nature which sold to Google in 2005. He has been named one of the “Top 35 Innovators Under 35” by MIT’s Technology Review magazine (2005) and has won the “Fast Money” bonus round on the TV game show Family Feud (2009). His work has appeared in The New York Times, The Wall Street Journal, Wired, Time Magazine, Newsweek, MTV, Slashdot and NBC. He is currently an Adjunct Professor at NYU’s Interactive Telecommunications Program.